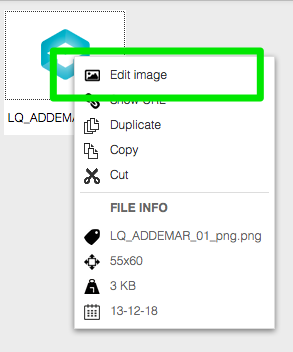 Addemar Support Knowledge - Our new Images & Files library ! Our new Images & Files library ! Is there an easy way to upload multiple images / files at once ? Can I easily edit my uploaded images ? Can I delete my files / my images ? 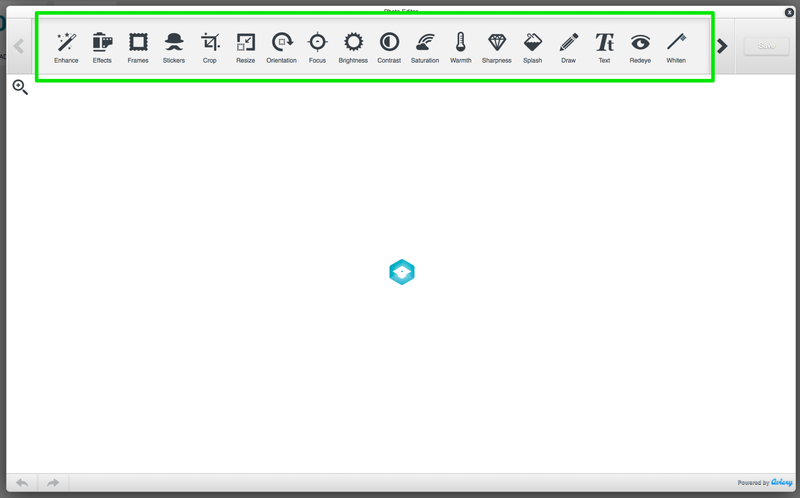 The new Images / Files library can be used while editing a creation. You will notice a change in the Library menu. We have combined Images & Files into one menu item. 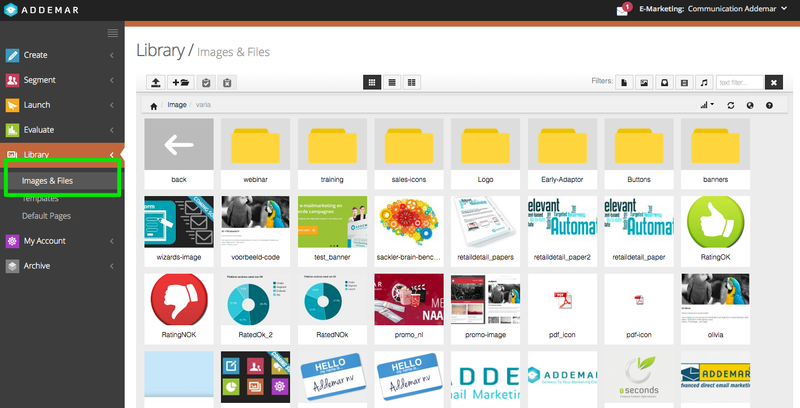 This Images & Files manager offers you far more features than the previous one. ( 3 ) Apply filters upon your files and images to easily find the image and or file you are looking for. Uploading files / images made easy ! To upload images or files click the 'arrow' icon in the top left corner of the new manager. This opens a new popup screen as shown below. 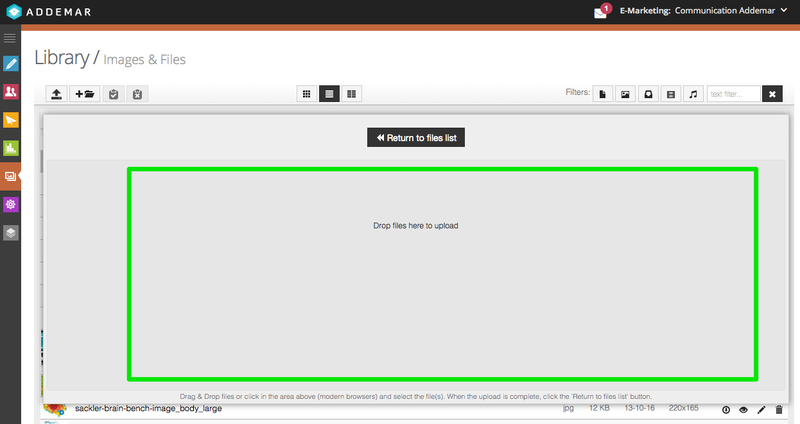 In this screen you can simply drag and drop the files you want to upload and the files 'dropped' will be be uploaded. Simply hover over an file in your library and you'll see a the action bar. This new Images & Files manager enables you to edit your image with Aviary. To access the editing mode, right click any image in your library to open the context menu. To edit the image with Aviary select the ' edit image ' action. The menu gives you tons of options to edit / enhance / crop/ ... your image. You can play a bit with the different options. How do I delete a file in my library? How do I upload images into my library? How do I manage my library? What's the advantage of uploading images to my library via an FTP?